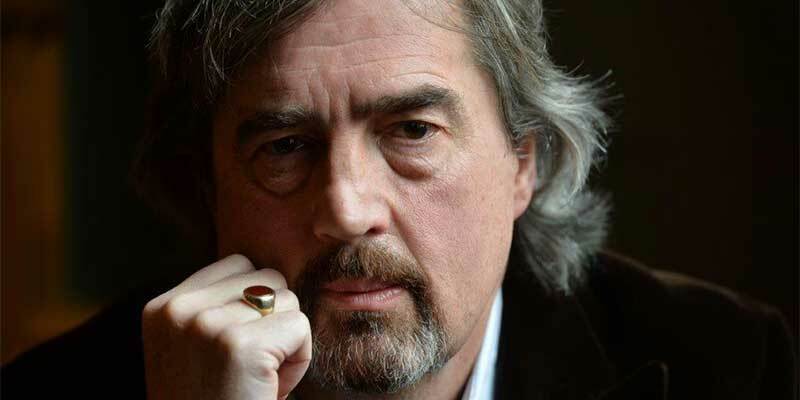 At a reception on 8 February 2018, President Michael D Higgins, announced Sebastian Barry as the next Laureate for Irish Fiction 2018–2021. He was awarded the honour by the Arts Council and began his three-year term in February 2018. The Laureate for Irish Fiction was selected following an extensive call for nominations in July 2017 and a rigorous selection process, which culminated in the work of an international selection panel chaired by the poet Paul Muldoon. The Laureate will continue his work as a creative artist. In addition, over the course of his term, Sebastian Barry will spend one semester at University College Dublin and one semester at New York University. While in residence at the universities, he will teach creative writing and work directly with students and faculty. The Laureate will also deliver an annual lecture, which will be widely disseminated, either through broadcast or publication, or both. Additionally, the Laureate for Irish Fiction will engage in a select number of major public events per annum, with the primary objective of promoting and encouraging greater engagement with Irish literature. The public programme is curated by the Laureate for Irish Fiction, based around the themes and priorities that he has identified. In Sebastian Barry’s case, he will concentrate, among other things, on ‘The Golden Age of Writers and Readers’. The Laureateship has been designed so that the Laureate will shape the role himself, as is the case in the Ireland Professor of Poetry and Laureate na nÓg. This allows the individual artist to be at the heart of the project, and the Arts Council has a proud and long history of supporting individual artists, particularly writers. Those individuals or organisations who wish to invite the Laureate to participate in an event should contact Marcella Bannon, Project Manager for the Laureate for Irish Fiction, at laureate.irishfiction@artscouncil.ie. As stated above, we will be supporting the Laureate as he curates his public programme and it will be based around the Laureate’s priorities. Sebastian Barry was born in Dublin in 1955, and attended Catholic University School, and Trinity College, where he read Latin and English. He graduated in 1977 and started to write. He received an Arts Council grant in 1982 to support his early writing. In 1988 his play Boss Grady’s Boys won the first BBC/Stewart Parker Award. At the end of the eighties he published The Engine of Owl-Light (Paladin), an experimental novel. He was elected to Aosdána in 1989 and was Writer-in-Association at the Abbey in 1990. In 1995 The Steward of Christendom, which starred Donal McCann, premiered at The Royal Court and won many awards. In 1996 he was Writer Fellow at Trinity College Dublin. In 1997 he received the Irish-American Fund Literary Award. In 1998 he published a novel The Whereabouts of Eneas McNulty with Picador. His novel A Long Long Way (Faber and Faber) appeared in 2005, and won the Kerry Group Irish Fiction Award, and was short-listed for the Man Booker Prize and the Impac Prize. He was Heimbold Visiting Professor at Villanova University in 2006. The Secret Scripture, a novel, was published in 2008, and was shortlisted for the Man Booker Prize and the LA Times Book Awards, and won the Costa Book of the Year, the James Tait Black Memorial Prize, and the Irish Book Awards Novel of the Year. He was elected a fellow of the Royal Society of Literature in 2009. He has received honorary doctorates from the University of East Anglia, NUI Galway, and the Open University. His archive is held at The Harry Ransom Center in Texas. His novel On Canaan’s Side (2011) was longlisted for the Booker Prize and won the Walter Scott Prize. His novel Days Without End was published by Faber in 2016 and won the Costa Book of the Year Award and The Walter Scott Prize, and was longlisted for the Booker Prize. He has three grown children, Merlin, Coral and Tobias, and lives in Wicklow with his wife Alison.